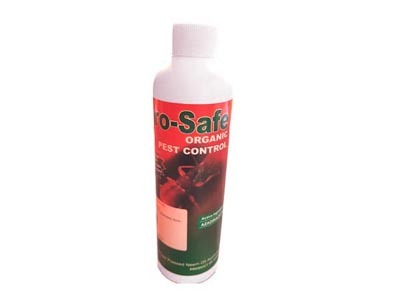 Gro-Safe’ is a natural organic pest controllingoil extracted from the seeds of the neem tree. 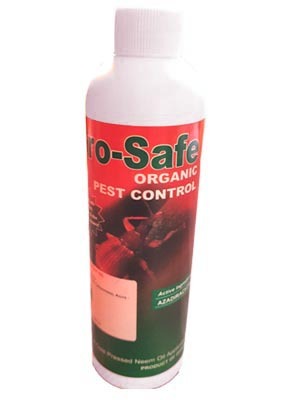 Its main activeincredientAZADIRACTHTIN is effective for pest control and post-harvest storage. 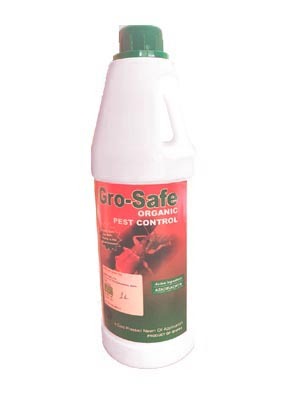 ‘Gro-Safe’halts all further stages of the pest’smetamorphosis which then protects the plant from any further damage. It is effective for a wide range of pests, including Fall armyworm, green moth, dessert locust, nematode, diamond black moth, fruit borer, weevils, nematodes and many others.